Taisetsu no kura is the newest sake brewery in Asahikawa City, though its brewing tradition can be traced back a long way. 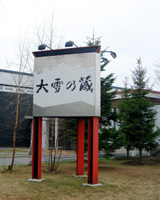 Around 1900, Taisetsu no Kura’s parent company, Godo Shusei, commenced operations in Asahikawa for the purpose of manufacturing "Shochu", the Korean-style distilled rice sprit (known as "Soju" in Korean). Shochu has traditionally been one of the most popular alcoholic drinks in Japan owing to its relatively low price and generous alcohol content. In its current form, Taisetsu no Kura opened in 1997 to utilize the pure, great-tasting water available from the mighty Taisetsu Mountain Range to make what was essentially a Shochu micro brew. 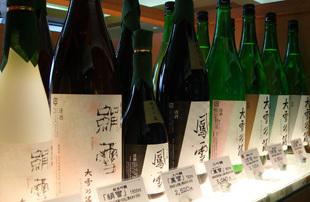 When micro brewery-style shochu started to boom in 2003, Taisetsu no Kura came to be recognized as the most diverse sake brewery in Asahikawa, capable of offering the widest range of products, including sake, shochu, plum wine, and fruit sprits. 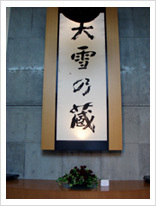 Despite the fact that the Taisetsu no Kura sake brewing facility can't boast the same pedigree as its established competitors, their modern headquarters adequately compensate. With its refreshingly simple modern style, exquisite contemporary Japanese restaurant, garden view, wheelchair friendly access, photo gallery, and the availability of local arts and crafts, Taisetsu no Kura is the ideal place to immerse yourself in Asahikawa's brewing culture. 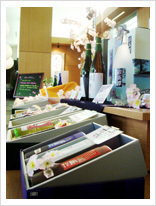 Broad selection of sake and shochu, plum wine, beer, and glasswork from local artists. No foreign language brochures, but English speaking staff available most days. 10 minute taxi ride from Asahikawa City centre.